Leathergrain Binding Covers enhance the appearance of your bound documents and are a popular type of Binding Supplies. Leathergrain Binding Covers have a leather texture that creates a professional classic look and makes your reports stand out and grab the reader’s attention. Meter Leathergrain Binding Covers are predominately used on the back of presentations in conjunction with Clear Binding Covers on the front of the document so the book title can be seen. 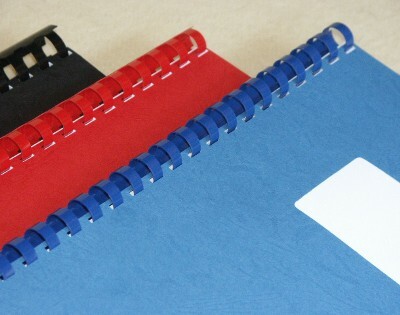 The most popular size is A4, however Leathergrain Binding Covers are also available in A3 size and in a large range of colours including Black, White, Dark Blue, Red, Green, Maroon, Grey, Navy Blue and Sand. Certain colours are also available as Window Leathergrain Binding Covers. Special sizes of Leathergrain Binding Covers can be cut to order – Call Meter for Pricing. Click on the individual links below for more information and pricing on our Leathergrain Binding Cover range.